The Canadian Migration Monitoring Network (CMMN) oversees migration studies in Canada. PIBO is part of this network, which is comprised of more than twenty independent stations across the county. Each one generates daily migration ‘counts’ for a large number of species. The data they collect not only contributes significantly to our understanding of the changes taking place in populations of migratory birds, but also documents migration at the sites themselves. Most stations also conduct other important bird-related studies. Pelee Island is a significant stopover site for many species of interest for monitoring, and PIBO’s field station, situated at Fish Point at the south tip of the island, is an ideal location to conduct the work. The observatory will is just finishing its tenth year of monitoring in 2012! Each morning from early April to June, and from August to November, PIBO staff conduct a standardized visual count of migrants at Fish Point, and also capture and band migrant songbirds. The number of individuals of each species in the official ‘count’ area is recorded on a daily basis. These Daily Totals (DT) are submitted to the Canadian Migration Monitoring Network for analysis, and the station’s bird banding records are sent to the Bird Banding Office, Environment Canada, in Ottawa. 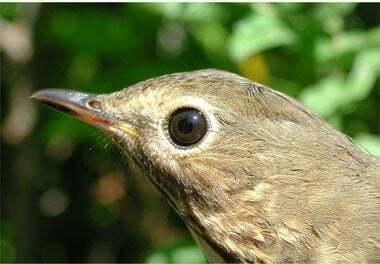 Learn more about our work in the links below, and also discover the extraordinary number and diversity of birds that frequent Pelee Island during both spring and fall migrations. To stay in touch with all the research undertaken by the extended PIBO family, make sure to subscribe to the PIBO Newsletter.